Michael Rapaport was fired this morning from Barstool Sports, which he joined last June, after engaging in an acrimonious back-and-forth with what felt like a majority of the staff on Saturday night. 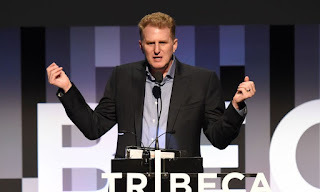 Rapaport repeatedly accused the blogger Adam Smith of juicing in advance of his victory in a Rough N Rowdy on Friday (which he’s since admitted), and had a back-and-forth with blogger Kevin Clancy in which Rapaport called out Clancy for his recent, very public adultery and Clancy fired back that Rapaport was once hit with a restraining order. Rapaport also told the site’s editor-in-chief Keith Markovich that he’s not “relevant,” to which Markovich responded with screengrabs of Rapaport persistently asking Markovich to promote his podcast. Rapaport, of course, has a lot of experience with media feuds. Previous bouts include Bill Simmons and the whole Dan Le Batard Show with Stugotz. 0 Response to "Why Michael Rapaport Was Fired from Barstool"